Inappropriate antimicrobial use is a major cause for the development of antimicrobial resistance in nursing homes (NHs); however, little is known about antimicrobial use at NHs in Singapore compared with NHs in other countries. The aim of this study was to determine the prevalence, practice and challenges of antimicrobial prescribing in Singapore NHs compared with those in other countries. A point prevalence survey (PPS) was conducted from August to October 2017. Data on antimicrobial use and the quality of documentation were retrieved from medical and/or medication records of NH residents. Informed consent was obtained from the NH management. Nine of 73 NHs in Singapore, with a total of 1760 residents, participated in the PPS. The prevalence of oral antibiotic and topical antimicrobial use was 2% and 11%, respectively, and the worldwide point prevalence of antimicrobial prescribing in NHs ranged from 1–17% (median 8%). The key challenges identified locally were different from those of overseas NHs, including incomplete documentation of antimicrobial duration and indication of use, as well as the high prevalence of topical antimicrobial use. The prevalence of oral antibiotic use in NHs in Singapore was lower, while topical antimicrobial use was higher, compared with NHs in other countries. Variability in antimicrobial prescribing and challenges in practice among local and overseas NHs implied that a comprehensive PPS could be beneficial to aid in the design of effective and practicable antimicrobial stewardship strategies appropriate for the NH. The authors thank the NH pharmacists and managers who participated in this study. Aysu Selcuk, Kai Zhen Yap, Chee Liang Wong, Jing Xi Yang, Pei Chean Yong, Sui Yung Chan, and Christine B. Teng have no conflicts of interest relevant to the content of this article. The management of participating nursing homes provided written informed consent. The Institutional Review Board of the National University of Singapore approved the protocol of the study. World Health Organization. Global action plan on antimicrobial resistance. http://www.who.int/antimicrobial-resistance/global-action-plan/en/. Accessed 23 Aug 2018. A European One Health Action Plan against Antimicrobial Resistance. https://ec.europa.eu/health/amr/sites/amr/files/amr_action_plan_2017_en.pdf. Accessed 23 Aug 2018. Ministry of Health Singapore. Launch of National Strategic Action Plan on Antimicrobial Resistance. https://www.moh.gov.sg/content/moh_web/home/pressRoom/pressRoomItemRelease/2017/launch-of-national-strategic-action-plan-on-antimicrobial-resist.html. Accessed 23 Aug 2018. Australian Commission on Safety and Quality in Health Care. 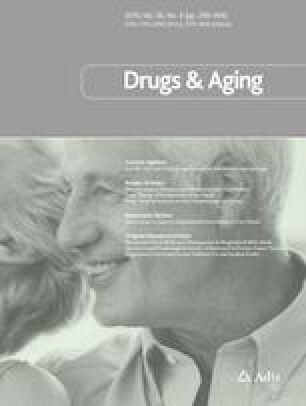 Antimicrobial prescribing and infections in Australian residential aged care facilities: results of the 2015 Aged Care National Antimicrobial Prescribing Survey. Commonwealth of Australia; 2016. https://www.safetyandquality.gov.au/wp-content/uploads/2017/01/Antimicrobial-prescribing-and-infections-in-Australian-residential-aged-care-facilities-2015-acNAPS.pdf. Accessed 23 Aug 2018. Ministry of Health Singapore. Intermediate and long-term care facilities. https://www.moh.gov.sg/our-healthcare-system/healthcare-services-and-facilities/intermediateand-long-term-care-(iltc)-services. Accessed 23 Aug 2018. Ministry of Health Singapore. Agency of Integrated Care Residents Assessment Form. https://app.aic.sg/IRMSDoc/Documents/NH/Resident-Assessment-Form.pdf. Accessed 23 Sept 2018. World Health Organization. ATC/DDD Index 2019https://www.whocc.no/atc_ddd_index/. Accessed 23 Sept 2018. Leave Prescribing to Doctors and Nurse Practitioners. https://theconversation.com/leave-prescribing-to-doctors-and-nurse-practitioners-19277. Accessed 23 Aug 2018. Canadian Nurses Association. Choosing Wisely Canada Nursing List. https://www.cnaaiic.ca/en/nursing-practice/evidence-based-practice/patient-safety/choosing-wisely-canada-nursing-list. Accessed 23 Aug 2018. National Health Service of United Kingdom. Who can write a prescription. https://www.nhs.uk/chq/Pages/1629.aspx?CategoryID=68. Accessed 23 Aug 2018. Topical Antibiotics for Skin Infections. https://bpac.org.nz/2017/topical-antibiotics-1.aspx. Accessed 23 Aug 2018.